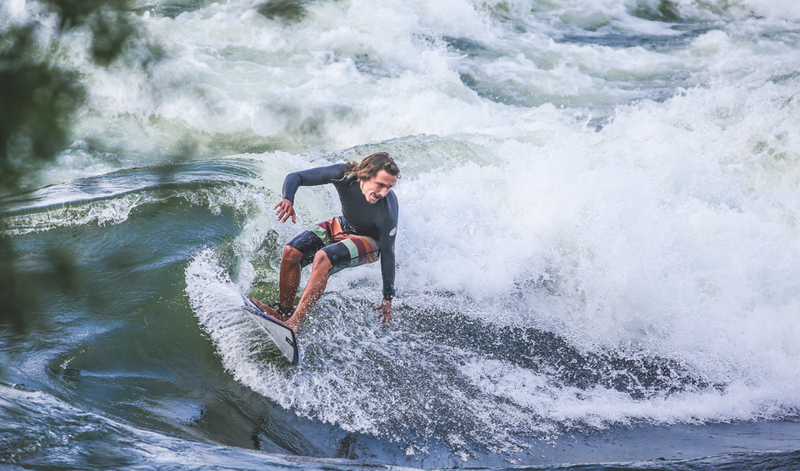 River surfing is an excellent way to start practicing the sport or to improve your technique in the ocean. 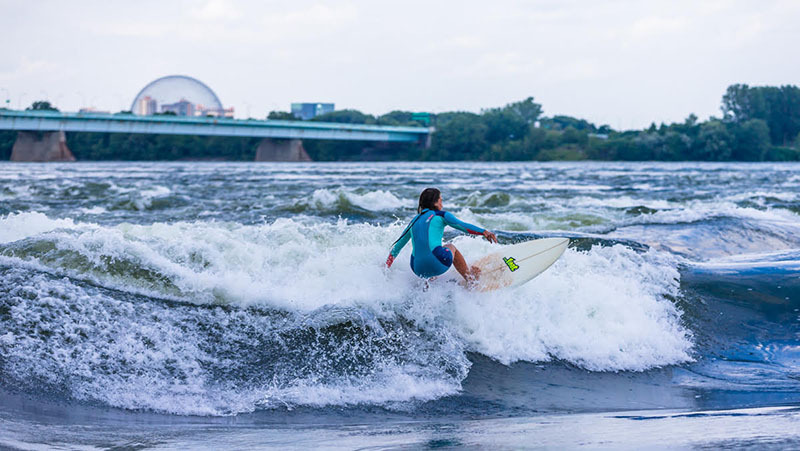 All our courses will allow you to learn and progress rapidly while discovering Montreal’s most beautiful surf spots. Within a safe environment, you will learn techniques, how to read currents, and much more. Memorable days guaranteed! Session 1 is one of our most popular activities. You will learn the basics of river surfing in an environment adapted to all levels in order to make your technique progress faster. You will acquire the necessary skills to be able to become independent for your future practice sessions on Guy’s Wave. Three hours of pure pleasure and strong emotions to experience and share! Prerequisites: Be confident in white water. Participant must be 12 years old minimum; children under the age of 16 require parental authorization. Prerequisites: Session 1 completed. Be confident in white water. Participant must be 14 years old minimum; children under the age of 16 require parental authorization. This lesson is perfect for getting used to the Habitat 67 Wave and will draw on the previously learned white water notions. You will acquire the necessary basics in order to become confident riding this wave during your future practice sessions. Customized to all levels of experience and completely safe, this course will give you the thrill of your life. This daylong lesson will allow you to quickly improve your skills while visiting two of the most exquisite surf locations in Montreal. You will learn the necessary basics to become comfortable and independent during your next sessions on these two particular waves. An unforgettable day learning river surfing rudiments with the sensation of white water thrown in. Prerequisites: Be confident in white water. Participant must be 14 years old minimum; children under the age of 16 require parental authorization. This course for girls only and taught by girls will charm you. You will acquire the necessary basics to become comfortable and independent during your next sessions on these two particular waves. During this 3 hours program, you will be able to learn while having fun in an ambiance of discovery and enjoyment. Perfect for Bachelorette or other special activity between friends or teenagers. This course was developed as a follow up. Try it once or as many times as desired to perfect your technique. The instructor’s judicious advices will help you perfect your technique and be comfortable on the Wave. 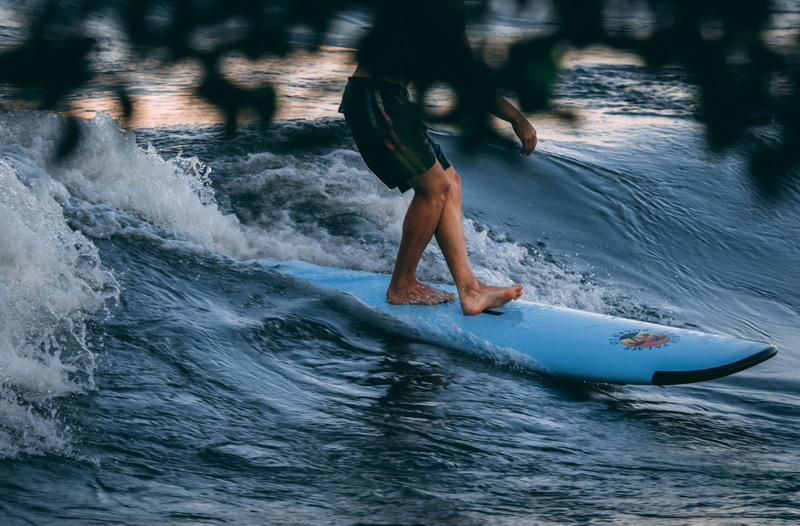 Adaptable to the student’s level of experience, this class is essential for those who want to progress rapidly in river surfing. Prerequisites: Session 1 or 2 completed depend of your wave choice or equivalent experience. Children under the age of 16 require parental authorization.